After being passed up on an opportunity to join the UFC following his win on Dana White’s Tuesday Night Contender Series, welterweight prospect Austin Vanderford has announced he’s got a new home. During his appearance on Ariel Helwani’s MMA Show, Vanderford announced he has signed with Bellator MMA. Bellator as well as Vanderford announced the move on their Twitter accounts as well. The Bellator contract for Vanderford is a four-fight deal. Beyond excited to announce my signing with @BellatorMMA . Ready to get out and compete with the best! There was no opponent or debut date set for Vanderford but he did announce that he will be fighting in the welterweight division. In his professional career, Vanderford is 6-0 with two knockouts, two submissions, and two decision victories to his name. His most recent fight was a first-round knockout of Edmilson Freitas at FFC 32 in October of this year. 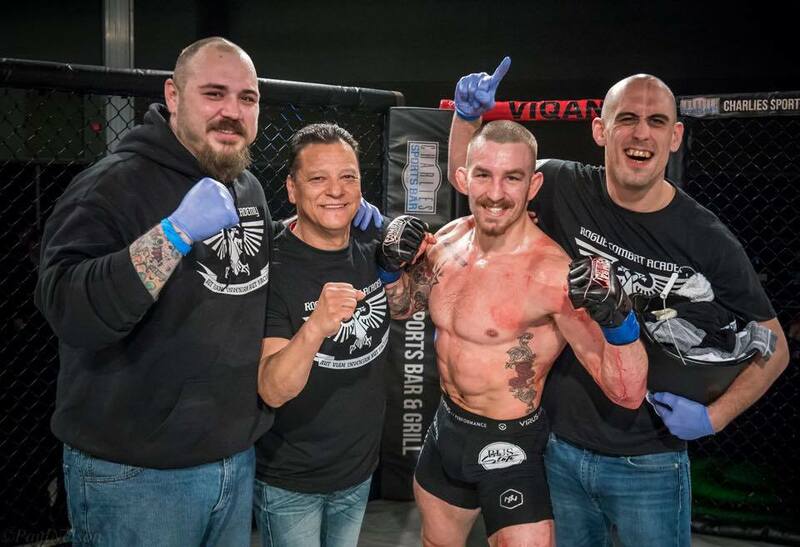 Vanderford had his biggest opportunity in July of 2018 when he competed on Dana White’s Tuesday Night Contender Series where he had an impressive comeback victory but was not awarded a contract following his win. Vanderford’s name is also very much known because of his wife, UFC flyweight Paige VanZant. The couple got married earlier this year in a private wedding. While many have called Vanderford “Mr. VanZant” on social media, during his interview with Ariel Helwani, Vanderford made it known that he wasn’t looking to call anyone out, just looking for the opportunity. I just want to get out and compete. I’m excited to compete against the best in the world and that’s all that I’ve really wanted, the opportunity to be on the stage. I’m sure there’s going to be a bunch of guys calling me out and I’m ready for all of it. After being passed up by the UFC, Vanderford said he’s not fighting with a chip on his shoulder and he understands that he needs to work his way to the top. I’ve said in the past that I have goals in mind and I respect the “you have to work yourself up”. I have other things that motivate me, I’m not trying to show up other promotions. I want them to want me. At the end of the day, I’m a competitor that wants to be the best in the world. I’m on that platform now and I’m excited. Vanderford made it known that the relationship he has with Bellator is that he wanted them and they wanted him, which makes the signing a great fit. 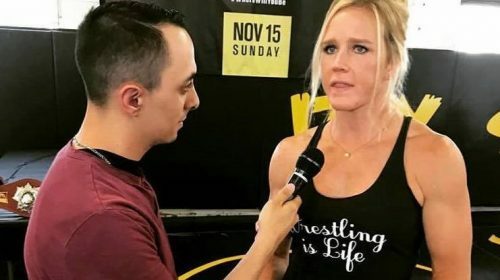 With his fiance VanZant getting her fight booked for January, Vanderford said he thinks he won’t be too far behind her when he makes his debut, but did not set an official target date.